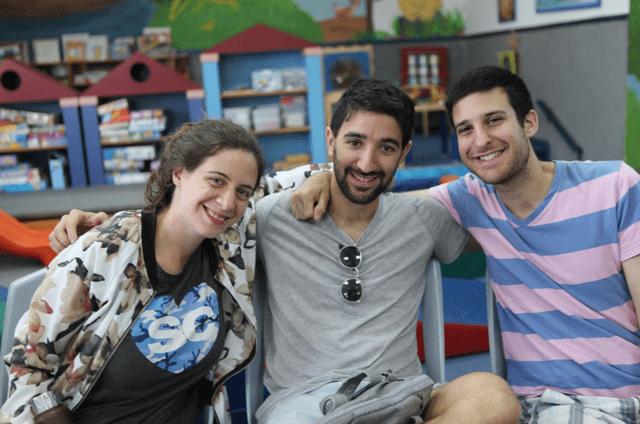 Over the past 10 years, there has been huge growth in the number of travel programs for Jewish young adults, focusing on everything from culture and tradition to tourism. Out of a personal desire to seek new challenges, I discovered The Joint Distribution Committee (JDC), and their young adult initiative, JDC Entwine who works to connect young Jews to the global Jewish community and foster a sense of global responsibility through their programs. My search would ultimately lead me to Israel, where I had the opportunity to learn about philanthropy with a 100% innovative platform using experiential education. As an entrepreneur, teacher, and director of an NGO that works with this methodology, I did not hesitate to apply for this fascinating program. The JDC offered me a scholarship to attend and as an active member of the Lazos organization – a network that seeks to connect and empower young Jews from Latin America – I was fortunate to receive the necessary support to be one of the 18 participants on JDC Entwine’s Inside Israel: The Eugene K. Ribakoff Fellowship experience. The trip was created by JDC Board Member, Charles Ribakoff, is honor of his late father, and former JDC President, Eugene K. Ribakoff, and, luckily for the participants, Charles traveled with us for several days of the trip. Without much knowledge of what I was going to experience, I boarded the plane with few expectations of what was to come. My only thought was how important this opportunity was to travel with such a prominent and important Jewish organization, and that interesting things were about to happen. After hours of travel and then meeting the other participants, our journey began in Jerusalem. Traveling among people from a different country with a largely different culture created a sense of responsibility to make a unique and meaningful contribution to the group, and perhaps provide a new point of view. The first day of the trip we learned about the social situation in Israel, and how JDC works with the Israeli government and other partners to develop programs with defined goals and metrics to help alleviate some of the country’s social issues, and protect the most vulnerable citizens. On the second day, the importance of JDC’s programs became clearer as we got more hands-on, and visited the programs. Seeing and experiencing the programs was a critical part of the trip, since each participant is required to make a $250 philanthropic contribution for a mini on-trip giving circle. This means that we pooled all of the contributions, and together would decide which of the programs we wanted to donate to. Thinking about the programs through a philanthropic lens, was the best way to learn about fundraising. During the subsequent days and projects we visited other programs, aimed at alleviating some of the social issues impacting Druze, Arab-Israelis, Orthodox, refugees – programs through schools, organizations, communities and others. The last project we visited was the one that personally motivated me, inspired me and the one I chose to support. A program called Eitan, which works to teach young people with disabilities Krav Maga and helps them become instructors. Participating in a class with Eitan was incredibly emotional. On the last day of the trip we deliberated and decided to allocate the trip funds to an alternative education farm, decided based on criteria we had defined prior to visiting the individual projects. This point is key because each donor has their own criteria, which makes it very important to know about them from the beginning. The experience had come to an end and with it the possibility of learning by doing, of seeing and living the other side and, finally, of helping. I speak about my experience not as travel because I have learned that experiences are journeys with wings: moments that make you fly and live something beyond a set of planes and trips. I cannot fail to mention the involvement by Charles Ribakoff – a man of vision and legacy. Beyond personal opinions and thoughts based on history and experience, I must emphasize how inspiring it was to have him on the trip to inspire us to look at giving in order to guarantee a broader, more innovative Jewish future. Inside Israel was 5 intense days of learning through new experiences, building friendships, and training to be a Jewish leader. These experiences left a huge mark on my life that I recommend to anyone who can participate. I think back to the Friday night of the trip, when the group came together – with all our similarities and differences – to share a Shabbat experience at the port of Tel Aviv, in front of the sea, with Jews from all over the world. I believe we are what we live, and that living experiences such as this one, prepare us to create the future we want to live.